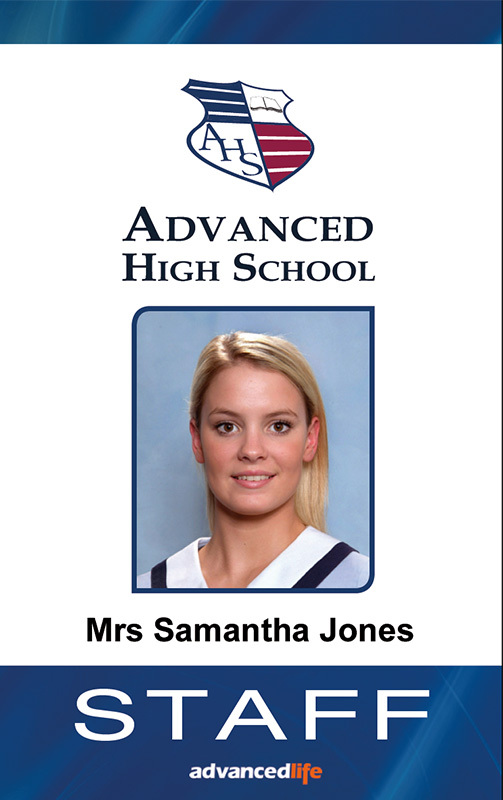 ID Cards are an important part of the school administration and operations mix and advancedlife can help you with expert advice on ID Card systems and technology, as well as designing and producing your school ID Cards. 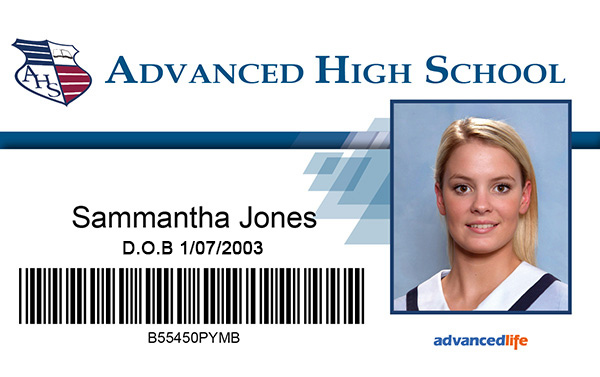 At advancedlife we ensure ID Cards are seamlessly integrated into your school's administrative systems. 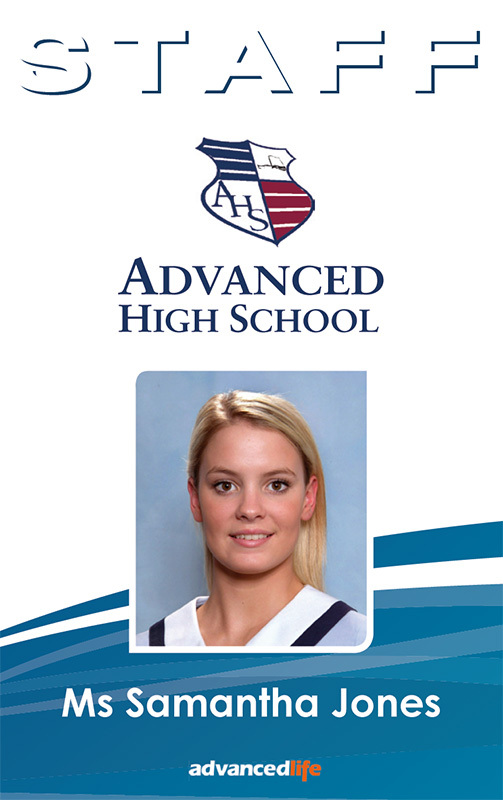 All ID cards can be 100% customised with your school colours and designed for your school by advancedlife. 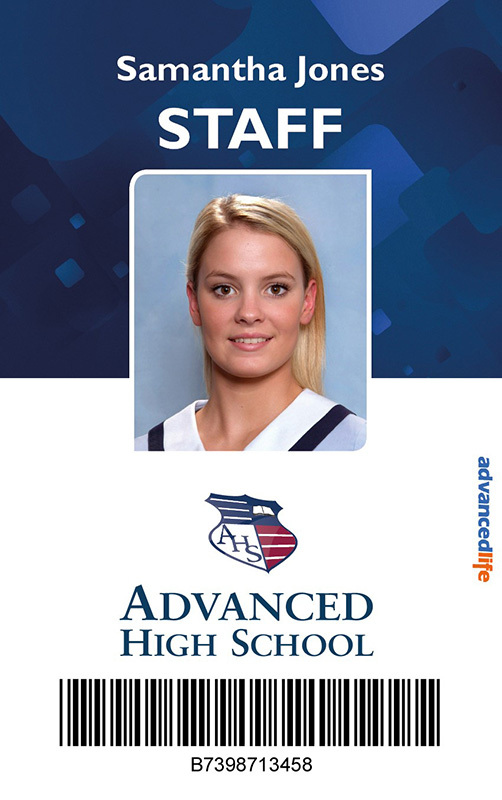 The Mifare card is blank on both sides and can be 100% customised with your school colours and designed for your school by advancedlife. Mifare cards have a microchip embedded within the card itself and this chip has 15 sectors that can be encoded with data (see complete Mifare explanation below). Bear Card data can be encoded on the Bear card's mag stripe, similar to a standard ID card, and the Bear card also contains a 4th track which can be used to store additional information. 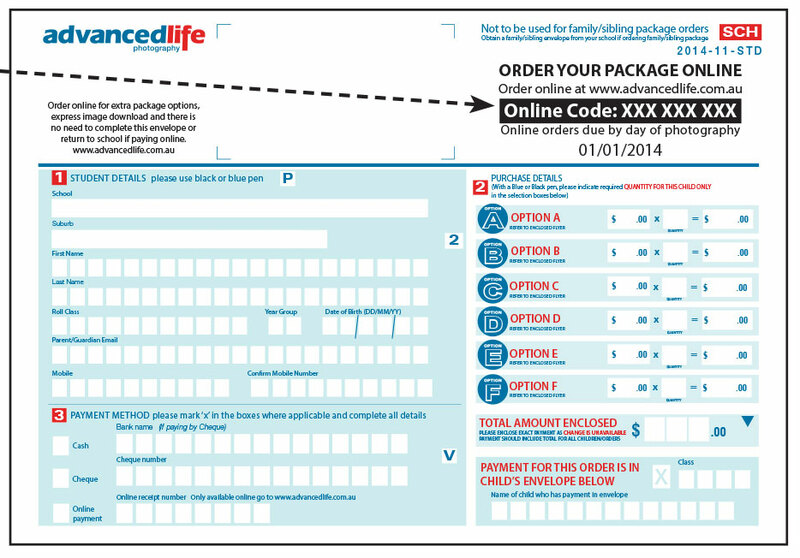 The Blank Card features a bar code for scanning by bar code readers and includes an image and printed information. This card can be printed front and back. Blank cards cannot be encoded. The standard Magstripe Card has three tracks, each of which can be encoded. Track 3: Replicates the attributes of track 2 and is used mainly to store information such as pin codes. Has all of the properties of the Standard Magstripe Card (described above), but also contains a signature strip. Has all of the properties of the Standard Mifare Card (described above) but also contains a signature strip. 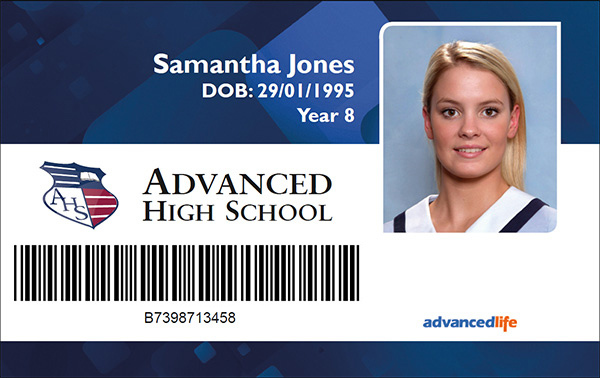 The Passenger Transport Board (PTB) Card is the official ID card required by students travelling on the South Australian Government transport network. PTB Cards are used exclusively in South Australia. Smartcard is a generic name for a card that has an embedded integrated circuit chip—it has memory and can do basic processing. 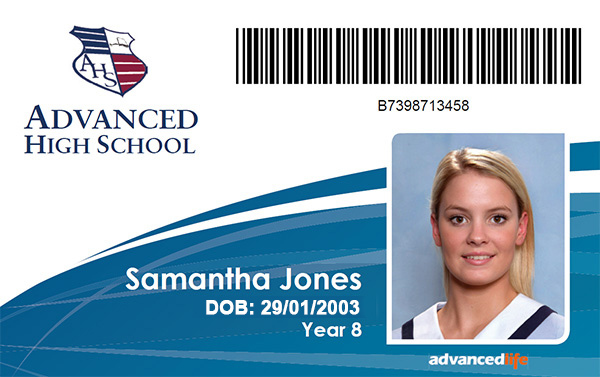 Mifare cards and Prox cards are both classed as smartcards. 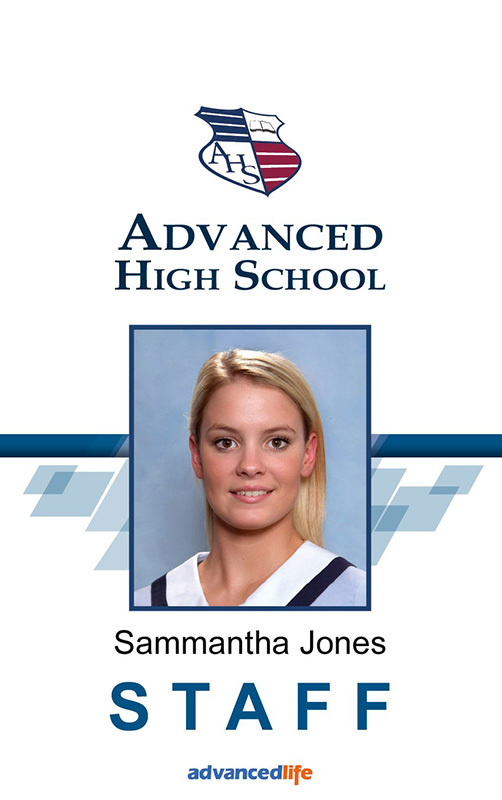 In reality the "smarts" of an application (such as Access Control or a School Canteen program) are in the back-end hardware and the smartcard simply identifies the student to the application. 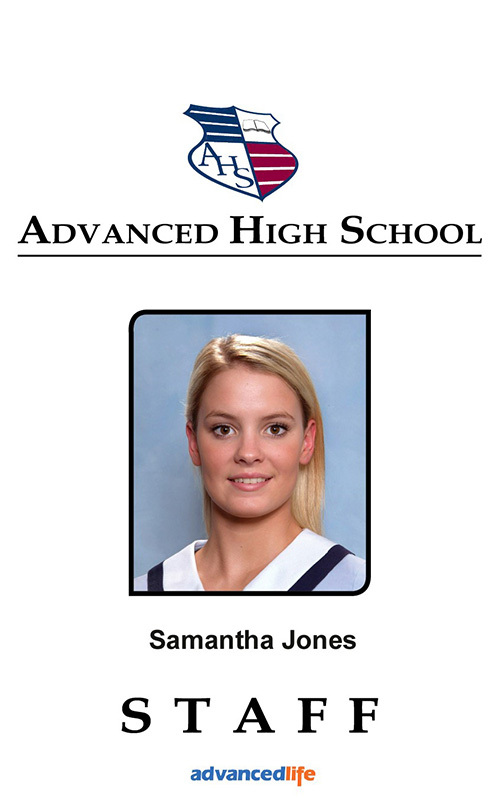 Smartcards such as Mifare or Prox are a superior version of the classic Magstripe or barcode cards that simply identify the student to the application. Mifare is a chipped technology that is embedded in cards and card readers to allow them to recognise each other. This technology provides security while authenticating and validating information between the card and reader. It then transmits data in the other direction from the reader to the card. There are more than 160 million Mifare Readers and over 5 billion Mifare cards in operation in cities all over the world. Prox cards can only be purchased through the distributor that supplied the Prox card reader - as they come pre-encrypted. 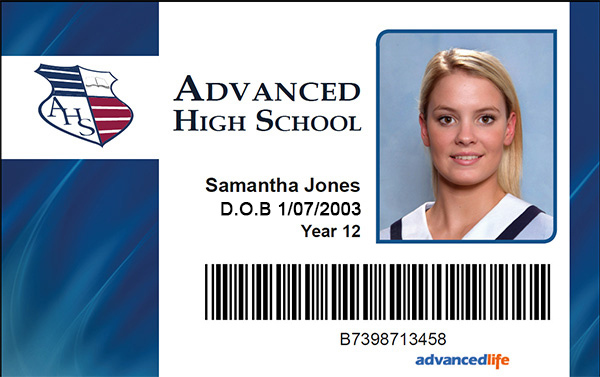 The pre-encryption is the main factor that distinguishes Prox cards from Mifare cards. The 1KB Mifare card holds 1024 bytes of data in 16 independent sectors – a sector can be thought of like a "basket"
Sector 0 is the card's directory. Each card has a unique chip indicated with a UID and the manufacturer's data. The 15 remaining sectors can be written to, read to, or can have a value added, subtracted, transferred or restored. 1KB Mifare Classic is not a secure card. 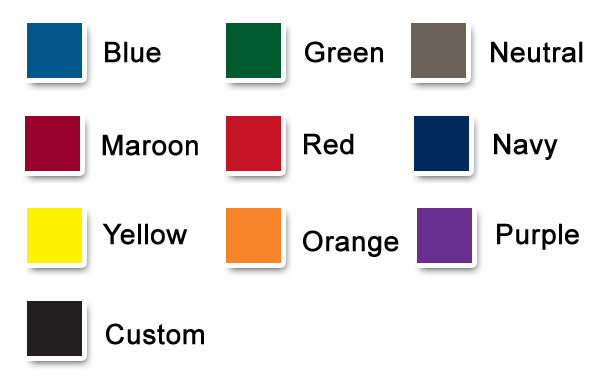 Secure cards are available in the Mifare Desfire range; however, the price is higher. 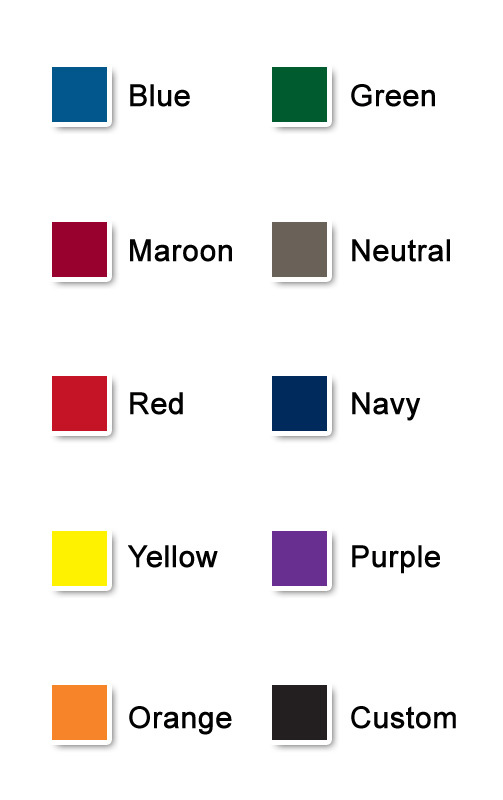 Mifare Classic cards provide security via encryption codes that are used in sectors and are only read by designated readers or applications. 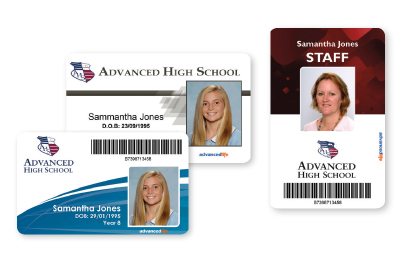 Mifare cards are being adopted by many schools and the team at advancedlife can help guide you and your school through the Mifare implementation process. 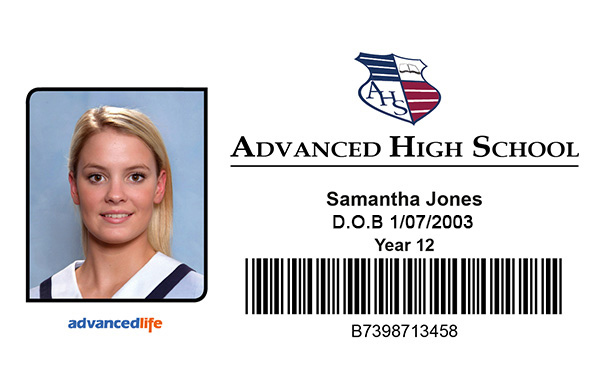 Most ID cards produced by advancedlife are 30mm PVC cards. They measure 86mmx54mm and advancedlife carries nine variations of these cards, all of which have different benefits, purposes and prices. 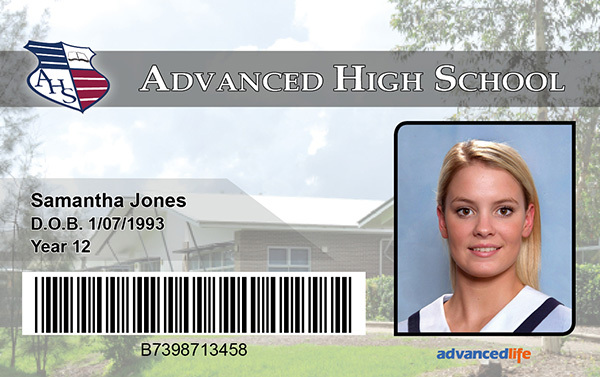 advancedlife can also obtain specialty ID cards on request or print on those supplied by your school. Encoding is a way of storing information on the magnetic strip of an ID card. The information stored on the magnetic strip is a unique number or string of text that is linked to information in a database. 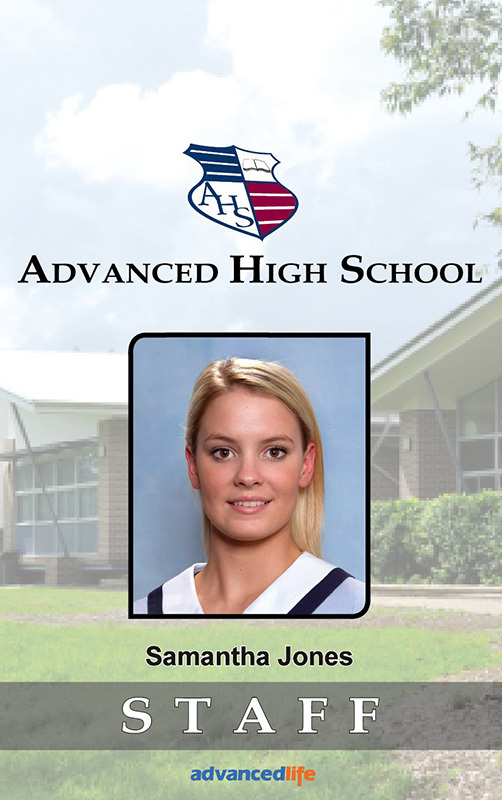 It is used most often to identify a student for an attendance system or for library use. Track 1: Can store all numbers and characters that can be found on a standard keyboard. Track 1 has a limit of 76 digits and/or characters. Track 2: Can only store digits and it can store a maximum of 37 digits. Track 3: Can only store digits and it can store a maximum of 104 digits. Track 4: Is only available with Bear cards. It allows information to be added and taken off at will by the administrator. Barcodes are a way of storing a unique code on a card that can later be scanned and linked to a database. A barcode is a number or string of characters written in a font that consists of vertical lines. Alphabetical data must be shown in capital letter, in order to be read.